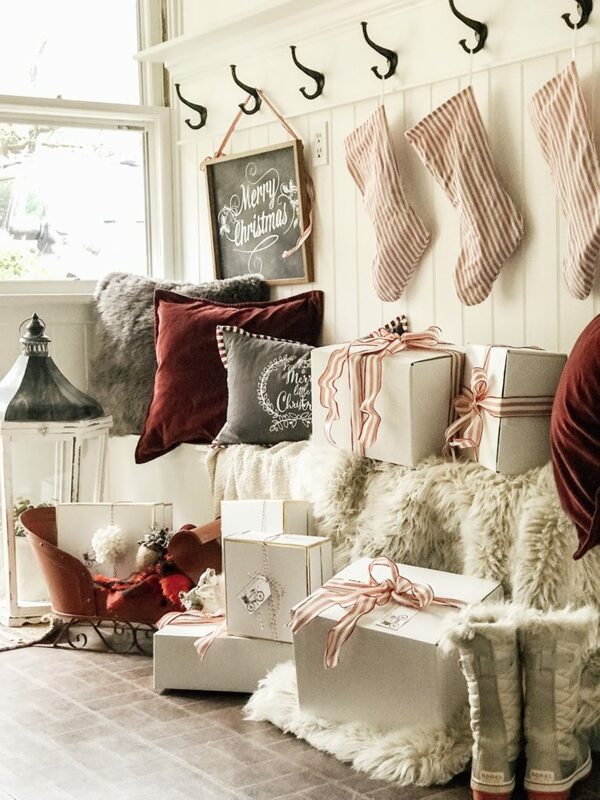 It’s that time of year when we think about how to make our homes beautiful and our gifts extra special. But I like to keep things simple and stress free. The holidays are so stressful already so why don’t we make the gift wrapping a bit easier. 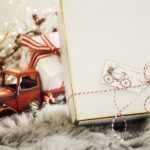 This Farmhouse Christmas Wrap Idea/Free Printable will help you save time but still keep your gifts looking beautiful. Be sure to sign up for my email to get new recipes, crafts and home ideas in your inbox! I’ll share with you my stress free Christmas wrapping trick! So I actually used white boxes that we ship our products out in. I like to keep my Christmas simple but still beautiful. The white shipping boxes look great with a cute ribbon added. Of course I add on our free Christmas printable tag. It adds a specials touch to your gift wrapping. 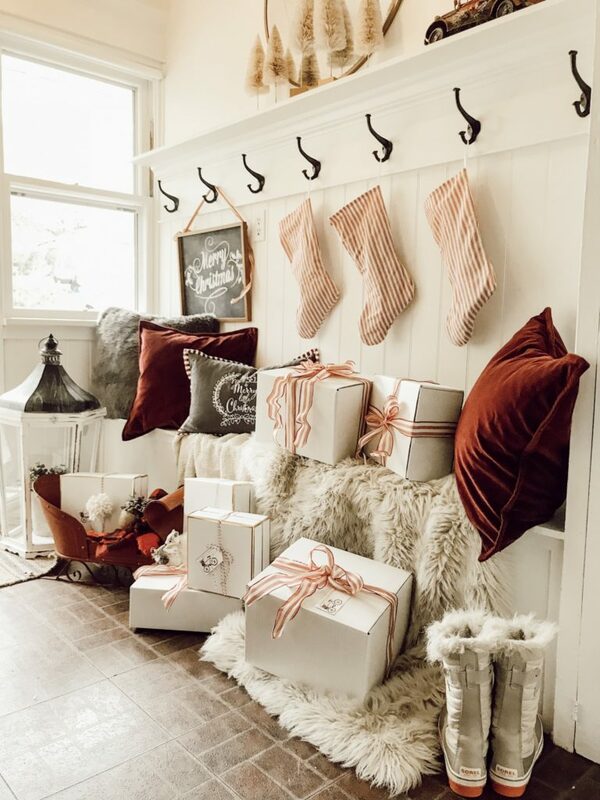 This wrapping idea is so easy and quick. It lets me focus on things that are more important. This is so much easier than wrapping paper. When using wrapping paper you have to make sure it’s the right size then cut, then fold and tape. It’s just a lot of work that can be avoided. Another way I wrap Christmas gifts a stress free way is to grab some cute gift boxes from Target. Using a box is so much easier. You can just add a ribbon and the gift tag and you’re good to go. I like to add my own special touch to wrapping. To make your shipping boxes a bit more fun, add some pom poms, ribbon, or tassels. Do you need some ideas on what to fill your gift boxes with? I have a gift guide for woman that is perfect for your daughter, mother, and even yourself. Getting gifts for yourself is so fun. I just recently decorated my mantel for the Christmas season. It was a wreck of a day but in the end it all worked out. 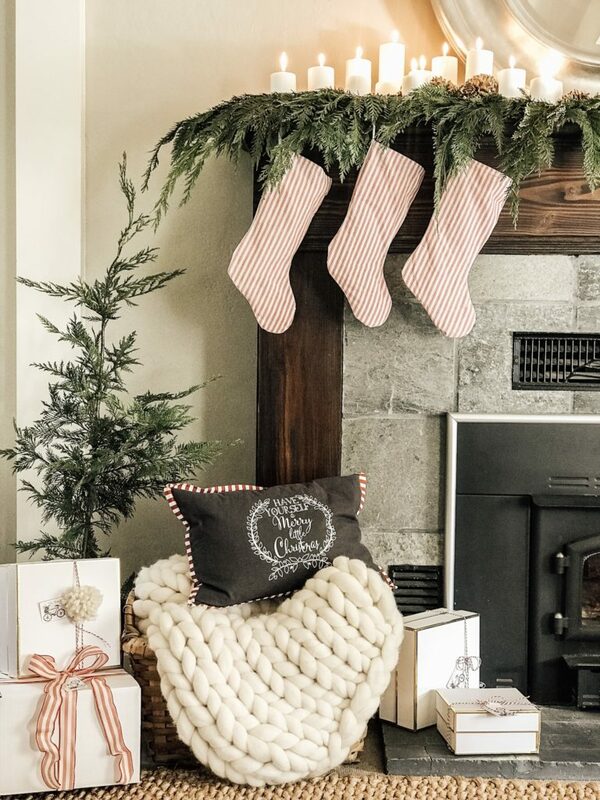 A modern farmhouse Christmas mantel is the perfect touch to your holiday decor. Once we got the idea of what we wanted, it all worked out and was quick. I used decor I already had and stole some branches off of our cedar tree. It would be a cute ideas to hanging these holiday gift tags from the stockings that I sell here. 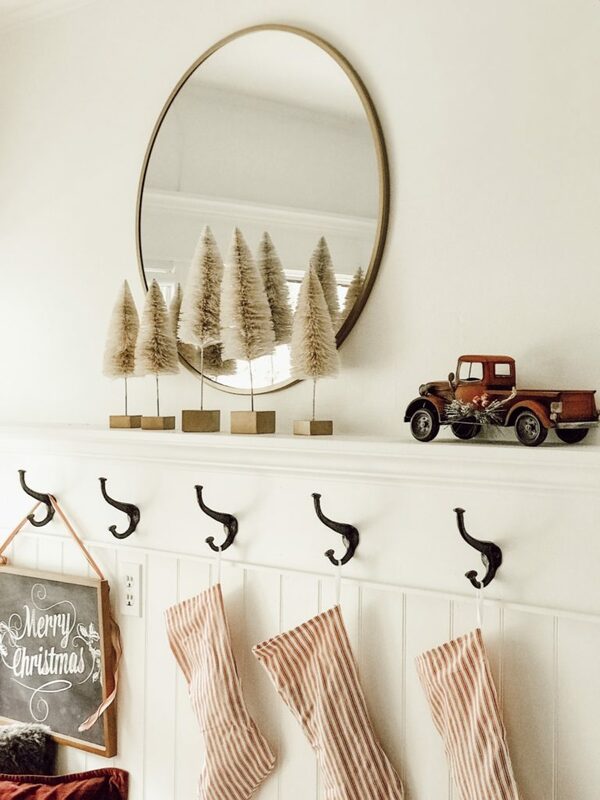 These are handmade red ticking stripe Christmas stockings. 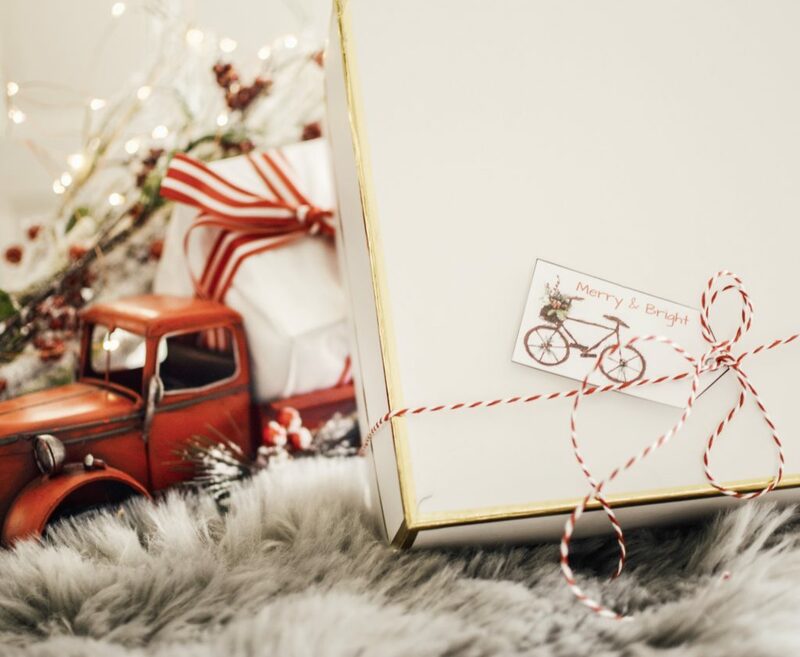 Stress free Christmas wrapping is the way to go, because who needs more stress during the holiday season? Not me and not you. Another way to make your wrapping easy is to use printable gift tags. These Christmas gift tags have a vintage touch to them with the bike. I added some perfect words that really reflect Christmas, but you can also add some of your own. These don’t just have to be used for gift tags. I also love to use these as table place cards. These can be used for so much more! If you still haven’t done your Christmas decorating it is not too late to have a stress free season. 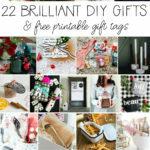 I have an Etsy Christmas shopping guide, that is perfect to get all your Christmas decorating done. Also for all you Amazon lovers, I have an Amazon Christmas shopping guide as well. I would love to see what you have done with your printables, so be sure to tag me @HallstromHome on Instagram. 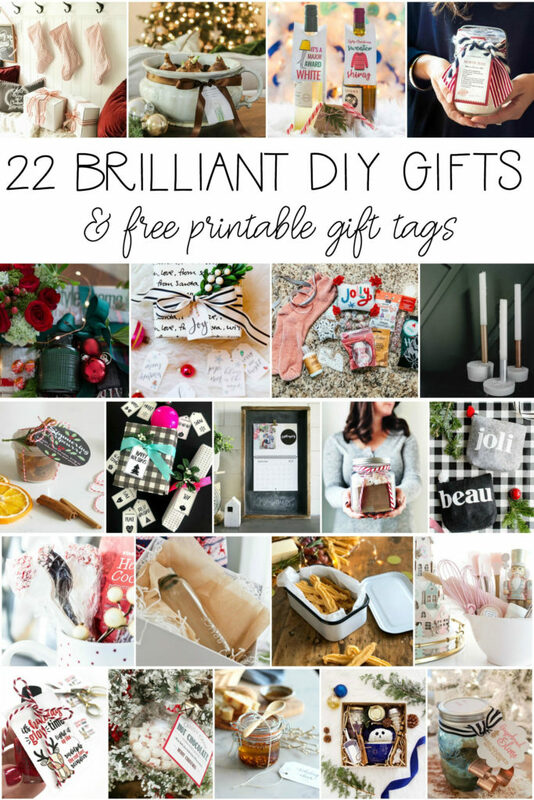 Today I’m thrilled to be part of a fantastic group of bloggers who are also sharing their DIY Gift Ideas for the holidays with you (many with free printable tags)! Thx Kim. I love to reuse! Thank you! I love keeping Christmas simple. Love these sweet little tags! 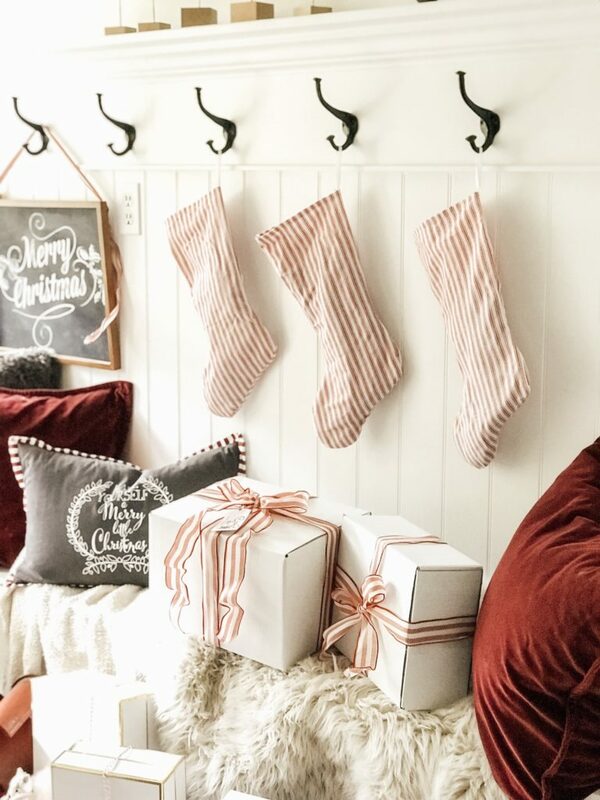 The white boxes with red striped ribbon is holiday perfection! Thank you and way to go for jumping in. I know its scary and more work than ever dreamed but then who said life was easy? I LOVE these cute printables rhonda! And of course you styled it beautifully as always! Thank you so much Ashley you are the sweetest! Beautiful and environmentally friendly gift wrap! Thank you for being a part of the blog hop Rhonda. I am Rhonda Hallstrom creator and designer of Hallstrom Home. I love to create beautiful home decor and to inspire others. 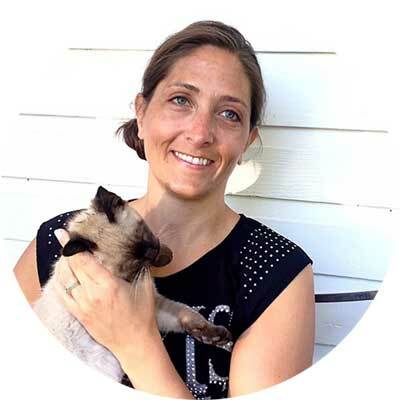 So come check out my shop and blog and I hope to inspire you all.Thanks for stopping by at Hallstrom Home, Rhonda.